James Caan Bio, Children, Spouse, Net Worth, How Tall is He? Home Actors James Caan Bio, Children, Spouse, Net Worth, How Tall Is He? 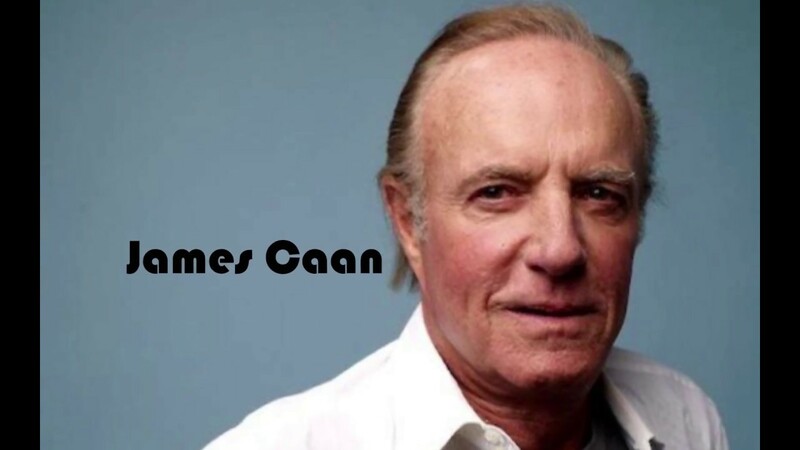 James Caan is a veteran American movie star and film director best known for his appearance in blockbuster movies like The Glory Guys which fetched him a Golden Globe Award in 1965. The actor has been active in Hollywood for over five decades and he has starred in numerous movies. For his excellent contributions to the American film industry, James was inducted into the Hollywood Walk of Fame in 1978. He has also received numerous awards for his outstanding performances in movies as well as TV series. Learn more about the movie icon below. James Edmund Caan was born on the 26th day of March 1940 in New York City of the United States. He was born to Sophie Caan and her husband Arthur Caan who were both German immigrants. James was raised along with his three other siblings in Queens, New York. There, he received his basic education and later on, he enrolled at Michigan State University for his first degree. Prior to his graduation from Michigan, James transferred to Hofstra University but eventually dropped out in order to pursue his acting career. Subsequently, he attended New York’s Neighborhood Playhouse School of the Theatre and graduated. In the early stages of his career, James Caan made his off-Broadway appearance in the 1960 play titled La Ronde. After that, he made his TV appearance in the series titled Naked City from 1960 to 1963. That same year (1963), he made his first film appearance in the movie titled Irma la Dounce alongside Jack Lemmon. He got his first major role in 1964 when he portrayed a Punk Hoodlum in Walter Grauman’s Lady in Cage thriller. He also played minor roles in other films such as Wagon Train, The Glory Guys, Ben Casey, Combat, and The Alfred Hitchcock Hour. During the late ‘60s and ‘70s, James started getting bigger acting roles and he appeared in movies such as Red Line 7000, El Dorado, Countdown, Games, Submarine X-1, Brian’s Song, The Godfather, Slither, Cinderella Liberty, The Gambler, and Funny Lady, to mention a few. He made his rather unsuccessful directorial debut in the 1978 movie titled Hide in Plain Sight. The actor took a temporary hiatus from acting in 1982 following the death of his sister. She died of Leukemia and James was also battling with drug abuse problems. After five years (in 1987), he made a comeback, featuring in the movie titled Gardens of Stone. The following year, he featured in the sci-fi, Alien Nation. In the ‘90s and 2000s, James starred in dozens of blockbuster movies including Misery, Honeymoon in Vegas, Flesh and Bone, Eraser, In the Shadows, Mercy, Blood Ties, Elf, The Tale of Princess Kaguya, Mickey Blue Eyes, and Undercover Grandpa, among others. In addition to his film appearances, James Caan has also played wonderful roles in popular TV series such as Las Vegas, JL Ranch, Back in the Game, and A Glimpse of Hell. The veteran actor has been active in the American movie industry for over five decades and is regarded as one of the most successful actors in the industry. He has a net worth of $20 million. James earned his wealth from his endeavors as an actor and from other business ventures. While James has been very active in front of the camera, the movie star is also active off the camera. He’s got an interesting love life as he has been married four times. His first marriage was with Dee Jay Mathis who is an American dancer. The couple got hitched in 1961, welcomed their daughter named Tara Caan in 1964 and two years later, they went their separate ways. James and Mathis were married for five years before their marriage abruptly came to an end. After their divorce, James began another relationship with Sheila Marie Ryan, Elvis Presley’s former girlfriend. The duo walked down the aisle in 1976 and after a few months, they welcomed a son named Scott Caan. Their short-lived marriage ended the following year due to irreconcilable issues. Their son Scott Caan has equally established himself as an actor in the American movie industry. Despite having a second failed marriage, the actor continued to be active in the love game. He went on to marry a pastry chef named Ingrid Hajek in September 1990. Their marriage lasted for four years, ending in 1994. Their son Alexander James Caan was born in 1991. After their divorce, James married his fourth wife – Linda Stokes, a costume designer. The pair got hitched in 1995 and their marriage ended in 2009. Notably, it was James Caan’s longest marriage ever. It lasted for fourteen years and they had two sons named James Arthur Caan and Jacob Nicholas Caan. Since his divorce from his last wife Linda Stokes, there has been no news of Caan’s subsequent relationships. So far, he has five children as well as four grandchildren. James Caan isn’t the tallest actor around but he has a good height as he is 9 inches taller than 5 feet (1.76 m). The movie icon also has a masculine physique with an ideal body weight. His body measurements are currently unknown but he has brown hair and blue eyes.